Gloucestershire is the green heart of England. 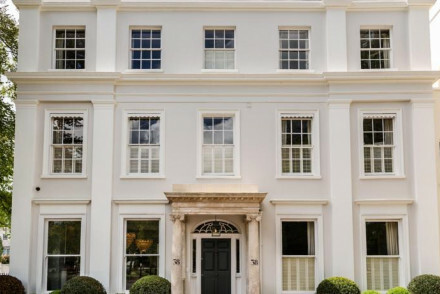 From the postcard perfect, thatched-cottage towns of the Cotswolds and the architectural splendour of Gloucester cathedral to the beautifully refined 18th Century mansions of Cheltenham. It is rich in beauty, and in country house hotels and townhouse B&Bs, which make up many of the best places to stay in Gloucestershire. The gently rolling wolds (hills) of the Cotswolds are the green and pleasant rural England many visitors are looking for. Biscuit-tin villages (Chipping Campden tops many lists in this category) nestled along winding rivers, and the smattering of honey coloured churches and manor houses make this one of the best places to stay in Gloucestershire. Mysterious and beautiful, the Forest of Dean is Gloucestershire's second Area of Outstanding Natural Beauty (most people think of the Cotswolds first). It’s England’s oldest oak forest, the UK’s first National Park, and an inspiration for all sorts of well known literature and lore. 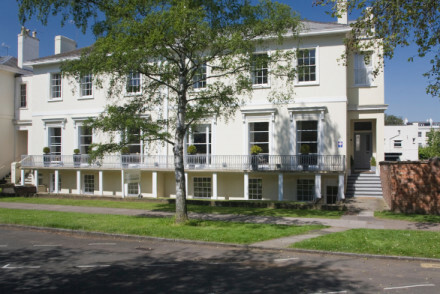 Cheltenham, like Bath, was a spa retreat in the 18th Century, and there are similarities in the city's graceful architecture. And it's well loved and cared for, and regularly embellished with a festival. And of course the races. 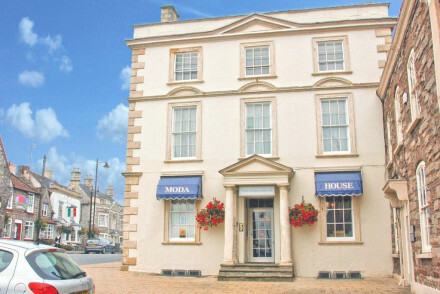 Definitely one of the best places to stay in Gloucestershire if you like shopping, dining and a flutter. 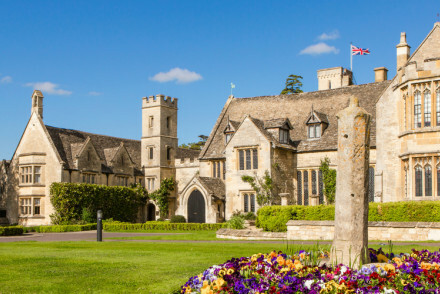 Some of the Cotswold's best known towns are Burford, Stow-on-the-Wold, Chipping Norton and Broadway. Charming Cirencester is an elegant Cotswolds market town with plenty of lovely Victorian architecture. Under the Romans it was Britain's second city, and there’s an excellent Roman Museum and the ruins of a Roman amphitheatre. If you're at all interested in art and design, you might like to visit Chipping Campden, the birthplace of the Arts and Crafts movement, founded by William Morris at the end of the 19th Century. 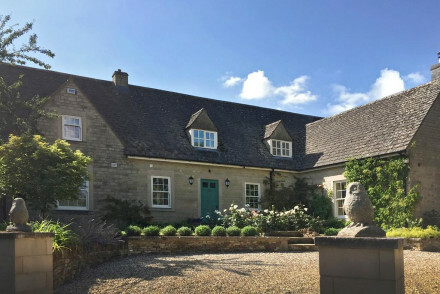 As well as grand residences and the extraordinary gardens of Hidcote, just four miles from town, the area around Chipping Campden is also home to several old mills, one of which became a centre for Charles Ashbee's Guild of Handicrafts. With all this farmland, Gloucestershire also hosts a myriad of farmer's markets, so this is a great destination for foodies. 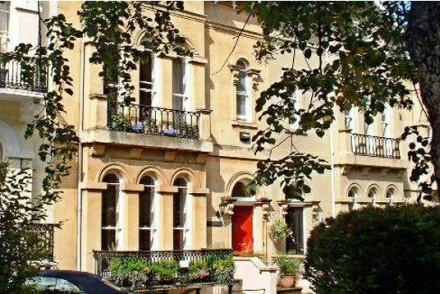 Cheltenham is England's most complete Regency town, with houses characterised by their intricate ironwork balconies and painted stucco facades. It’s also known for its award-winning green spaces. 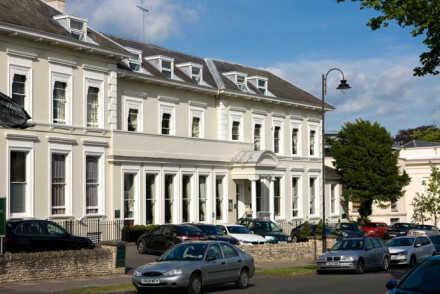 Still in Cheltenham, check out the beautiful Montpellier district, adorned with a fantastic selection of shops, restaurants and bars, and of course the racecourse, one of the world’s foremost horse racing venues. Beautiful, and even a little mysterious at times, the Forest of Dean is an ancient woodland, a wonderful place to walk, or bike, or even paddle through. Take an historic journey aboard the Gloucestershire Warwickshire Heritage Steam Railway through the Cotswolds. 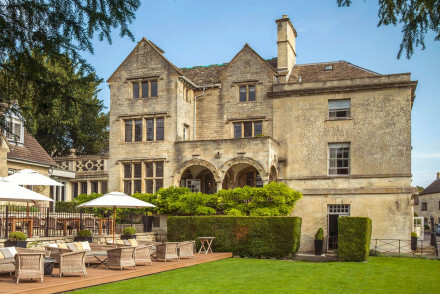 Cowley Manor is one of the best places to stay in Gloucestershire if you're looking for a rural escape. 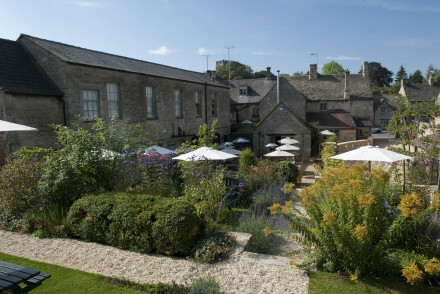 Its gardens are heritage listed so that covers the rural bit, but the spa and restaurant are both modern and award winning - so also one of the best places to stay in Gloucestershire if you need to unwind and treat yourself. If you're looking for something 'in town', then No. 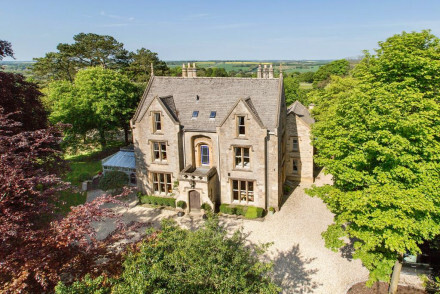 12 is one of the best places to stay in Gloucestershire for you. 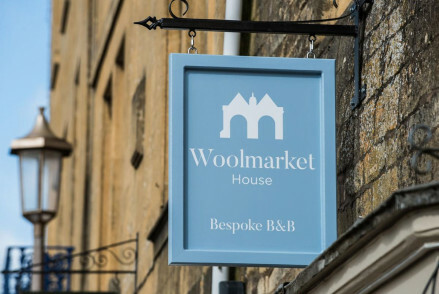 In historic Cirencester, this converted wool merchant's house has a grand facade and just the four individually decorated rooms, making it ideal for couples. What with the restaurants and boutiques in walking distance etc. The Painswick is a lovingly restored 18th century manor near ornate Rococo gardens and 16 lovely bedrooms. The decor feels very countrified, but there’s a very modern spa and an excellent restaurant. Tudor Farmhouse is a perfect base for exploring this region. On the edge of the Forest of Dean and just outside historic Clearwell village, it offers country chic rooms and suites, acres of gorgeous gardens and an award winning restaurant. Or you might go slightly out of the forest for Wilton Court, a country restaurant with rooms right on the River Wye. There are just eleven peaceful, elegant rooms beautiful gardens and access to excellent fishing. The Three Choirs Vineyards is a working vineyard with 100 rolling acres, and a hilltop restaurant with eleven rooms. Perfect for foodies and wine lovers, of course, but also great for walkers and fisher-folk. 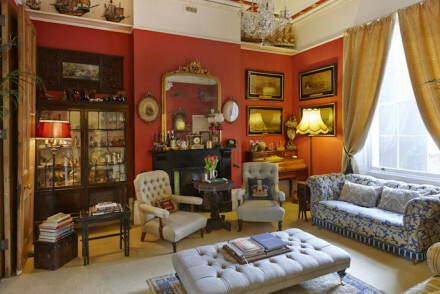 Hanover House, an Italianate city centre townhouse, is a B&B run by a very welcoming couple. They've filled the three bedrooms they rent out with music, colour and culture, making it one of the best places to stay in Gloucestershire if you love a 'home from home'. 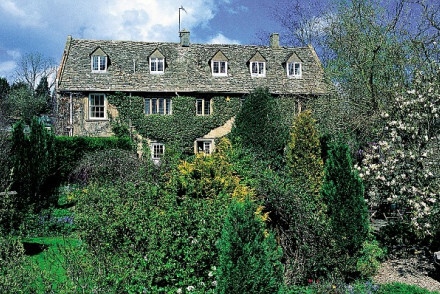 Bibury Court has one of the most beautiful locations of any Cotswolds hotel - it's a majestic and much-photographed Jacobean manor on the trout-filled River Coln. The village it's just outside is also considered one of the most beautiful in the region. Barnsley House was formerly the home of the renowned horticulturalist Rosemary Verey, so its gardens are spectacularly beautiful and diverse. There are 18 rooms and a lovely, but low key spa tucked away down a shady path. Romantic and very peaceful. 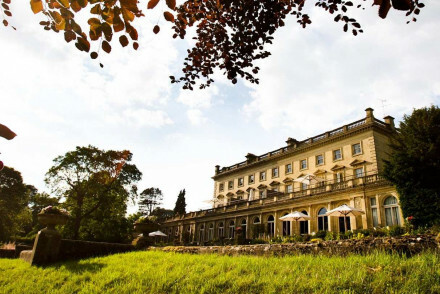 The name makes it sound a bit gimmicky, but the Lords of the Manor Hotel is actually an elegant and understated affair in honey coloured stone, surround by beautiful gardens then parkland. There's also a Michelin starred restaurant. And excellent fishing nearby. 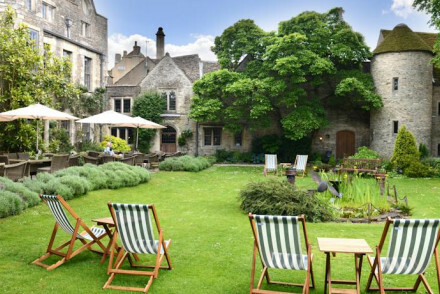 Lower Slaughter Manor is a fantastic manor house hotel surrounded by elegant gardens and lawns. The 19 rooms themselves are also elegant, as are the public spaces, and there's a great restaurant and plenty of sporty facilities to help you enjoy the great outdoors. This is an unstuffy country house break. 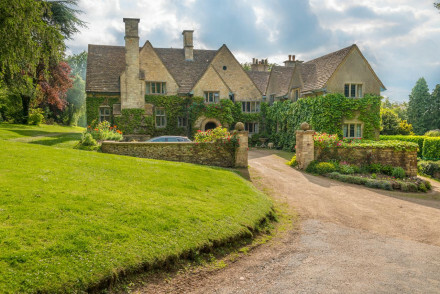 Buckland Manor is the kind of place you might expect to run into Miss Marple taking tea: a traditional old manor house in peaceful grounds with 13 beautiful rooms. Here men are expected to don a jacket and tie for dinner, where you'll also be able to take advantage of their impressive wine cellar. 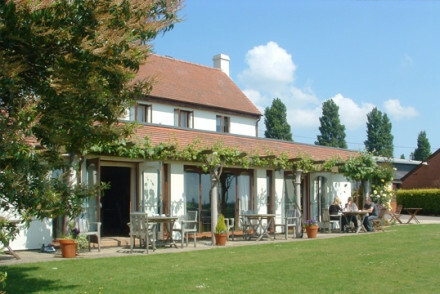 The Five Alls at Filkins is a glorious country pub acclaimed for its food, beautiful gardens and cosy, rustic rooms. 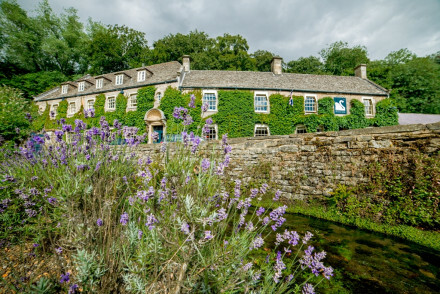 The Dial House Hotel in pretty Cotswold classic, Bourton on the Water, was an elegant 17th century mansion before it became a charming, 14 room hotel - the premium rooms have four-poster beds and roll-top baths. The interiors are stylish, yet traditional and there’s an award-winning restaurant. One of the best places to stay in Gloucestershire for people looking for something unique is Oak House No.1. 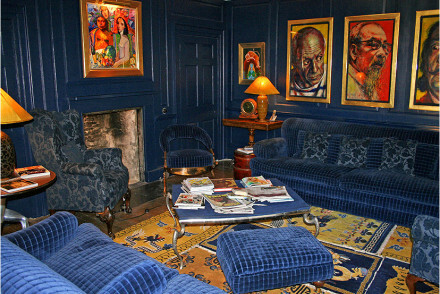 Georgian by age, but eclectic by design and interior, their four rooms are all individually designed and fabulously filled with art and antiques collected from around the world. What the Oak House doesn't have is a Michelin-starred restaurant. But Whatley Manor does. It also has an award winning spa, all the best high-tech luxuries, the buildings are outstanding and they don't allow children under 12. 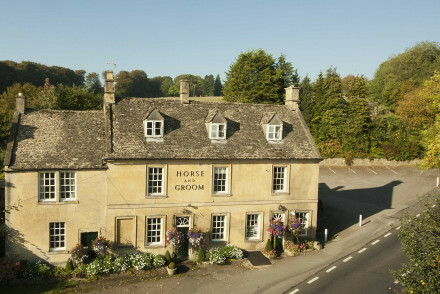 So definitely one of the best places to stay in Gloucestershire for honeymooners. 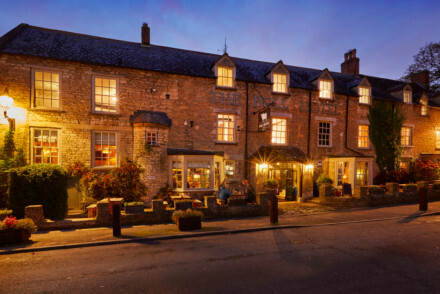 The New Inn at Coln is a 17th Century coaching inn, with modern, comfortable interiors, an award winning restaurant, a roaring fire and a selection of Gloucestershire's best ales. 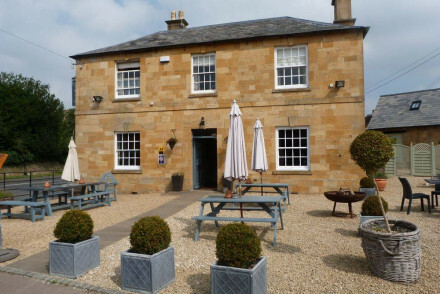 Lower Brook House is a charming B&B with a scenic backdrop close to Chipping Campden and Moreton-in-Marsh. There are just six rooms - all with four-poster beds - and a lovely restaurant and gardens. 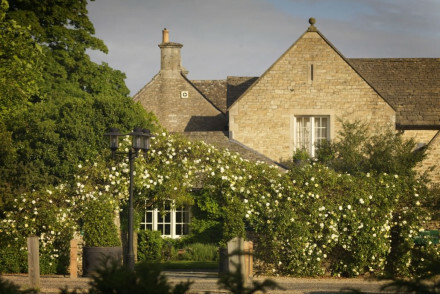 Calcot Manor Hotel is one of the best examples in the country of a genuinely family-friendly hotel that also works for couples. Set in its own estate, the former farmhouse, with a courtyard of lime trees and old barns, is praised for the friendliness and helpfulness of the staff. There are comfortable bedrooms, an indoor pool and an outdoor hot tub, next to a roaring fire. Great for couples and families alike, No. 38 The Park is a beautiful Georgian townhouse hotel set in a park just off from the centre of Cheltenham. Rooms are plush and spacious, many being fitted with beautiful roll tubs. Elegant and understated with a cool twist. 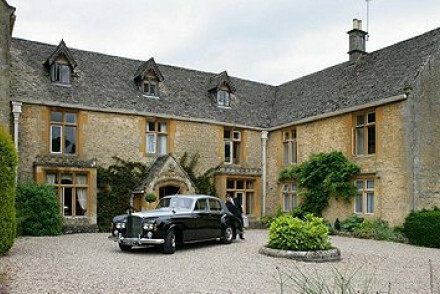 The Fish is a on an 400acre estate close to Chipping Campden. This laid-back, modern hotel has 67 rooms and offers loads to do, from archery to segway safaris. 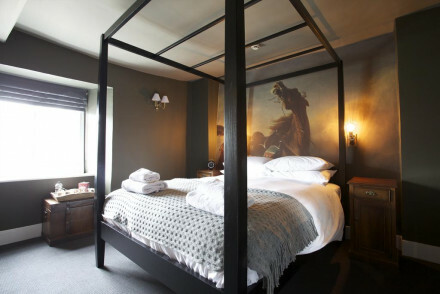 If you're on a budget the best place to stay in Gloucestershire has got to be The Big Sleep. A cross between a hostel and a hotel, the rooms are simple but well designed, the location is excellent and the facilities are pared back. 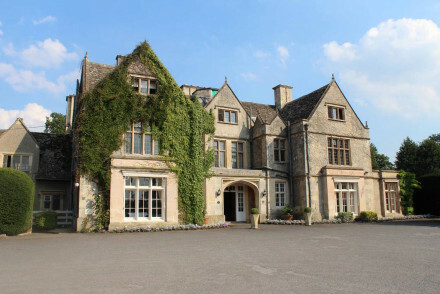 And all from £55 per night including breakfast - so also one of the best places to stay in Gloucestershire for families. 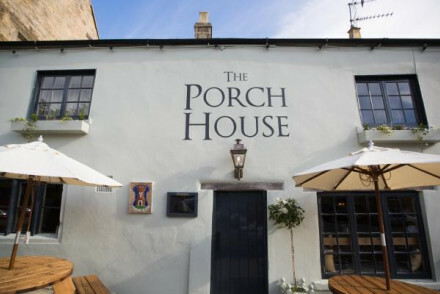 The Porch House in Stow on the Wold claims to be Britain’s Oldest Inn, and it’s been around since 947, so it’s got a good case. Inside the Heritage Listed building are 13 stylish rooms with exposed stone walls and beams and roll top baths. The rooms rate starts from around £90 per night. 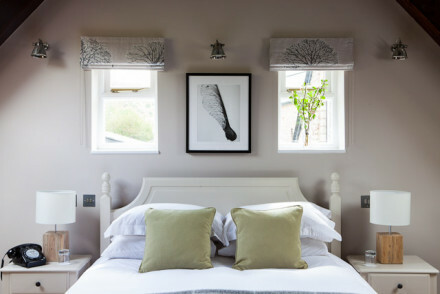 The Hare and Hounds Hotel on the edge of Tetubry is a traditional feeling country house hotel with 19 freshly refurbished rooms and suites and a popular local restaurant and pub. Rooms start from around £100 per night. If you’d prefer to stay in an apartment or private cottage we recommend you visit our online partner, booking.com. Gloucestershire Airport is in Staverton, Tewkesbury, but most of its services are chartered and private. Cotswold Airport is the same. The closest international airports are Bristol Airport - the nearest major airport to Cheltenham, situated 83km away with a range of connections to the rest of the UK and Europe, and Birmingham International Airport - the closest airport to Chipping Campden and also well connected to the rest of the UK and Europe. And Chicago. Or you can arrive in Gloucestershire by rail or road. If you want to hire a car - which we strongly advise if you want to see all the highlights of Gloucestershire - we recommend you visit our online partner, Rentalcars. Gloucestershire is one of those destinations where every season has something to warrant a visit. In winter it’s quiet, perfect for bracing walks and sitting by a roaring fire in the local pub, plus there’s racing in Cheltenham. In spring the Cotswolds is ripe with daffodils, in summer there’s sunshine, festivals and plenty of buzz, and in autumn the charing colours are spectacular. Summer is most popular for visitors, but many of those visitors are visiting the whole of the UK. 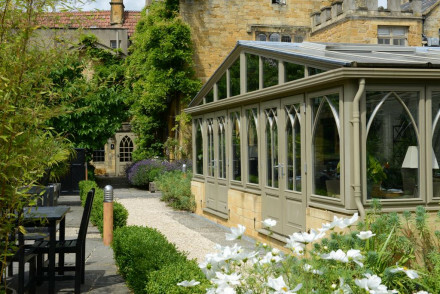 Refine your search to the best places to stay in the Cotswolds? Quiet and charming, The Holford Arms is a great spot for a weekend in the countryside. 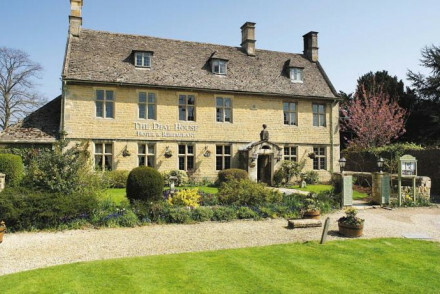 Set amidst beautiful Cotswolds scenes, the inn offers lovely rooms, an atmospheric pub and delicious food in the restaurant. Boutique camping options available for people looking for an al fresco option. 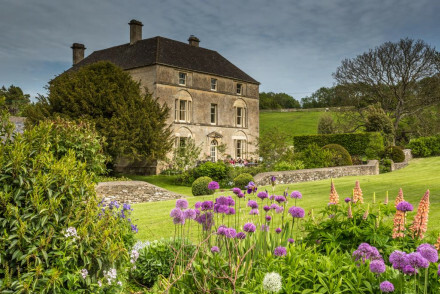 Sights nearby - Visit the magnificent royal residence of Highgrove with its lovely gardens. Great walks - The surrounding countryside is full of glorious walking trails. 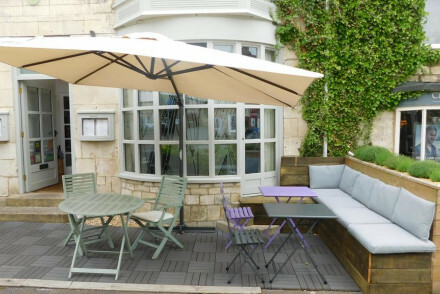 A welcoming B&B set in the centre of a pretty Cotswold town. Eleven cosy bedrooms are simply styled and feature a scattering of interesting artefacts from the owners extensive travels. Indulgent breakfasts are served, setting you up perfectly for a day walking in the countryside. 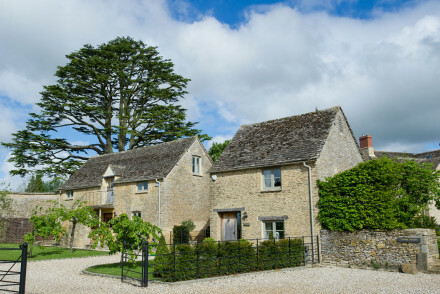 Active Holiday - A charming B&B in a pretty market town with easy access to fabulous walks along the Cotswold Way. Great walks - Find easy access to great walks including the Cotswold Way, the Monarch Way and the Frome Valley Walk. Easy-going and comfortable, The Bell at Stow ticks all the boxes. 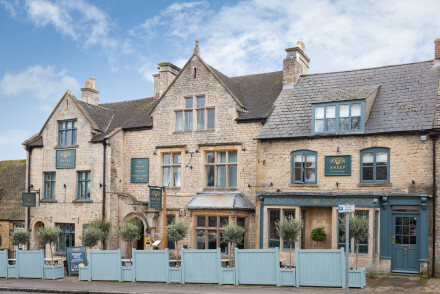 Great rooms, excellent food served in the restaurant and an atmospheric pub combine to make it a great base for a weekend away in the Cotswolds. Local exploring - A great base from which to explore Stow and the surrounding Northern Gloucestershire countryside. Great walks - The surrounding area is full of wonderful walking routes such as the Cotswolds Way. The Sheep on Sheep Street is set in the historic market town of Stow on the Wold. This property boasts chic renovated interiors and spacious accommodation featuring king sized beds and en suites. Only one dog-friendly room so be sure to check in advance! Locally sourced food. A lovely unfussy stay! 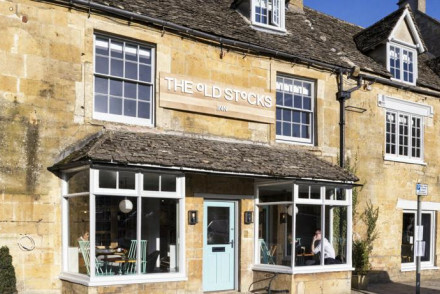 Local exploring - The Sheep on Sheep Street is a great base from which to explore the quaint Cotswolds! 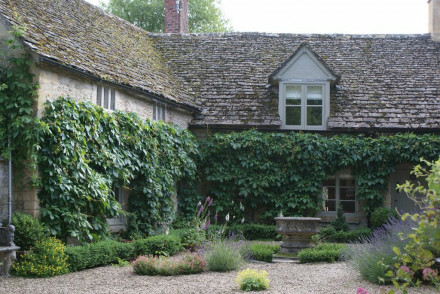 Elegant and charming, Stinchcombe Hill House is a delightful country house B&B. Each room is decorated with beautiful ornate furnishings, tasteful artwork and original design features. With beautiful gardens and lovely surrounding countryside, it's perfect for a rural escape. Great walks - The surrounding area is full of lovely walking routes especially the nearby Cotswolds Way. 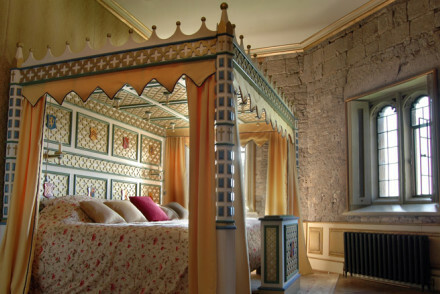 Sights nearby - Take a trip to nearby Thornbury Castle. 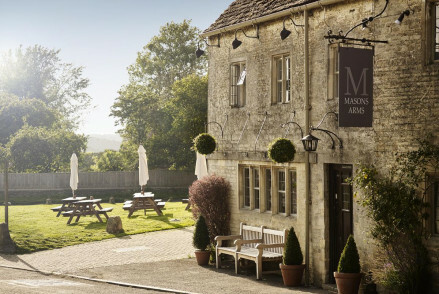 Set in a beautiful inn made from distinctive Cotswolds stone, the Mason Arms is a charming spot near Cirencester. The feel inside is contemporary and chic with classy, white-washed bedrooms and a stylish restaurant. The food here is a real highlight. Local exploring - A great base from which to explore the Thames Valley. Local markets - Visit the local farmers market at Fairford. Sights nearby - Visit the nearby Lydiard Park. Britain's Oldest Inn (c.947AD) offers thirteen comfortable and stylish rooms in its English Heritage listed building. Think exposed beams, exposed stone walls, roll top baths and Nespresso coffee machines as standard. 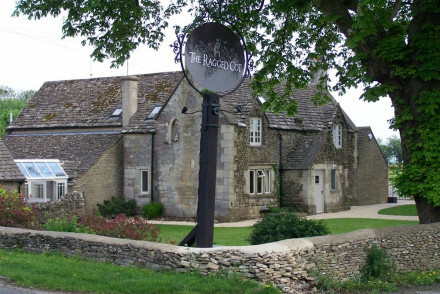 The perfect base for exploring the Cotswolds and great value for money. Historic - C.947A.D. England's oldest Inn. Sights nearby - Stow on the Wold, a picturesque market town. A traditional country inn with a modern twist. This boutique hotel has 16 stylish bedrooms with big comfortable beds and contemporary Scandinavian design features. A bright yellow roll top bath and cosy patterned throws. Artisan coffee, a garden pizza oven and good modern British food. 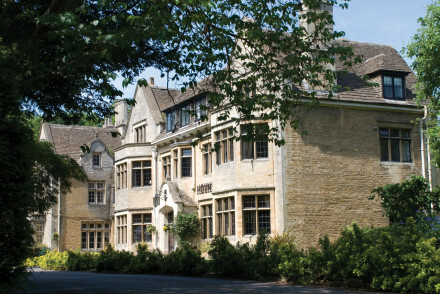 Sights nearby - Chastleton House, Blenheim Palace and all the beautiful Cotswold villages in the surrounding area. 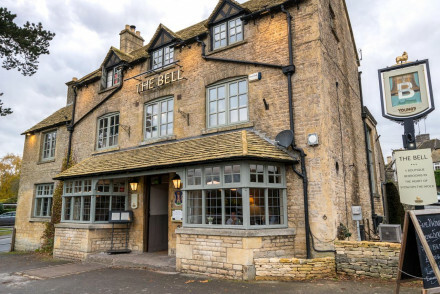 A classic English pub in the heart of the Cotswolds. Rooms are comfortable and full of character with goose down duvets and deep baths in all rooms. 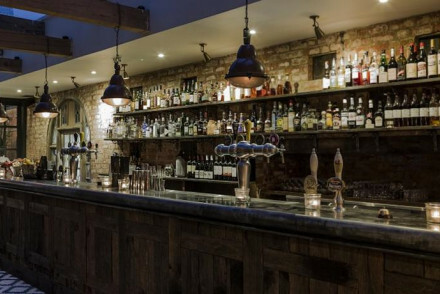 The restaurant serves excellent cuisine using local produce and the bar has an array of tasty ales. The perfect location for exploring this area. Great walks - Situated in an Area of Outstanding Natural Beauty, there are plenty of terrific walks on the doorstep. 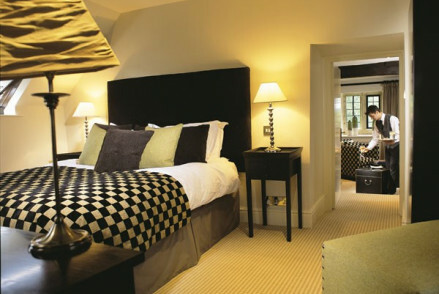 Right in the heart of Cirencester, The King's Head is a superb hotel. 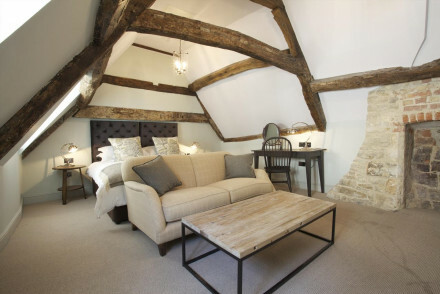 Offering stylish rooms that effectively combine historic design features such as original beams with contemporary comforts. One of the hotel's big pulls is the spoiling spa. There is also a superb restaurant and welcoming bar. Sights nearby - Take a trip to Westonbirt Arboretum with its fantastic selection of trees. Great walks - The surrounding Cotswolds is full of beautiful walking routes. 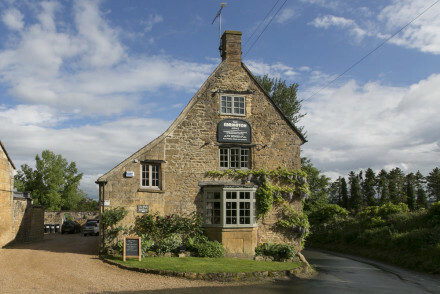 A charming village pub offering that quintessentially British experience. Atmospheric and luxurious rooms are dotted with well placed antiques set against white washed walls. The best have roll top baths. The restaurant serves hearty fare by a roaring fire and the owners even produce their own beer. 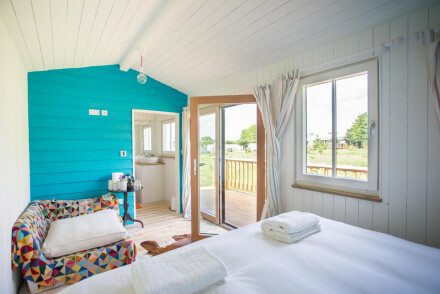 Country Escape - Almost within spitting distance from London and in some of the UK's most scenic countryside this is a weekend away worth taking. Sights nearby - Visit Broadway Tower marked out as the highest castle of the Cotswolds. Great walks - Stroll through the exquisite National Trust's Hidcote Gardens. 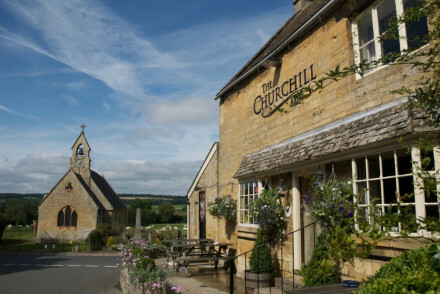 The Churchill Arms is tucked away in the sleepy village of Paxford, just ten miles from Stratford-upon-Avon. Set in a 17th century pub, it boasts five boutique rooms with comfy beds and exposed wooden beams. Terrific food and local ales are served up downstairs. A truly charming rural getaway. Sights nearby - Visit Anne Hathaway's Cottage in nearby Stratford-upon-Avon, Shakespeare's home town. 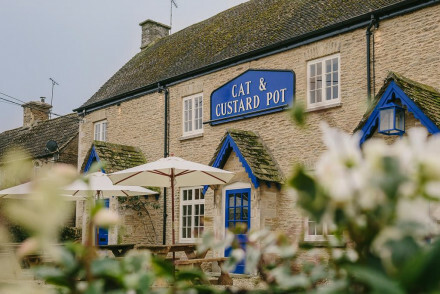 Charming and intimate B&B in a quintessential Cotswold village, set in an area of outstanding natural beauty, with views of Evenlode valley. 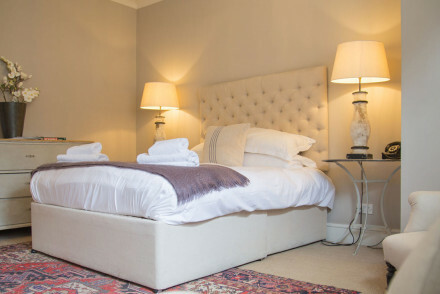 Just three lovely ensuite rooms, all with super king sized beds and the finest Egyptian cotton linens. Breakfast is a feast of local produce. Sights nearby - The famous gardens of Hidcote and Kiftsgate make a great day out. 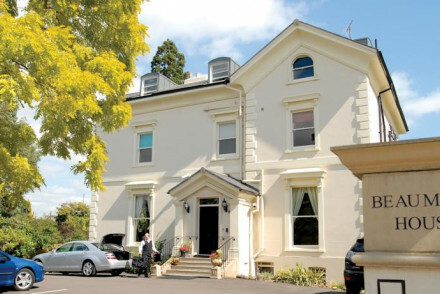 A picture perfect country house hotel set in the stunning landscape of the Forest of Dean and the Wye Valley. Charming chic rooms and suites, an acclaimed British restaurant, acres of emerald garden, and plenty of countryside pursuits to choose from. The perfect country escape. Views - Stunning woodland walks and views over bubbling brooks and meandering rivers. Active Holiday - The countryside landscape offers plenty of activities. Set in a picturesque Cotswold village, this Victorian-era manor home promises a stay of classic luxury. The rooms feature wood-beamed ceilings and both wood and embroidered furnishings of a classical style. With a suave bar, heated outdoor pool and quaint garden, expect to be charmed. Pretty 100 acre vineyard still producing 300,000 bottles a year. Hilltop restaurant with rooms. Fabulous views, tasty food, delicious wine, and wine tasting. Something different. The epitome of Gloucestershire charm, this historic B&B features period details such as wooden beams, exposed brick, tilting ceilings and open fires. Rooms have fine antique furniture and designer fabrics, with pretty village views. Housing a popular Italian restaurant. A delightful rural escape. Incorporating both a fantastic bistro and restaurant along with a handful of elegant rooms. 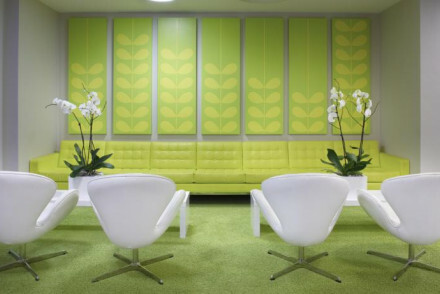 Simply, yet stylishly designed throughout, expect a mix of both modern and traditional styles. The fabulous Wilder restaurant takes its guests on a food journey over 8 courses. The perfect weekend escape. Foodies - Boasting both a bistro and adjoining restuarant serving innovotive cuisine. Great walks - Take glorious walks across Minchinhampton Common. Sights nearby - Visit the grand country Tudor house, Newark Park. 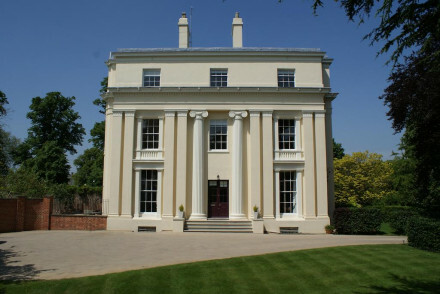 Magnificent Grade I listed Georgian B&B. Just five rooms, some with four-poster beds, and all lavishly decorated with fine period furniture. Enjoy locally-sourced organic breakfast served in the grand wood-panelled dining room. Great local pubs & restaurants close by. A stunning country esacpe. Total relaxation - Guests can relax in the scenic gardens while taking in the majesty of Frampton Court. 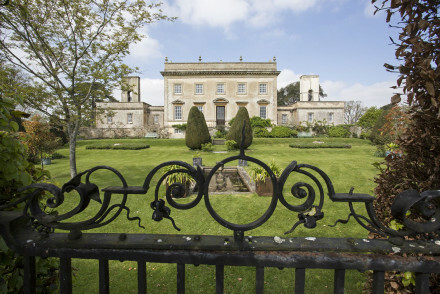 Sights nearby - Nearby Cheltenham is renowned for music and literature festivals. Great walks - There are plenty of fantastic walks in the local area. Historic castle dating back to Henry VIII's reign. 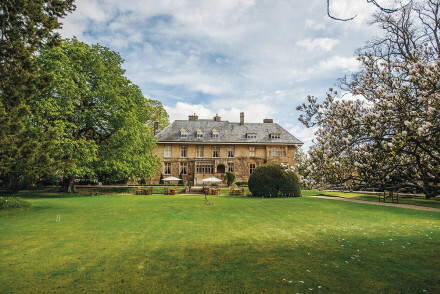 Sumptuous decoration, extensive grounds, spa.